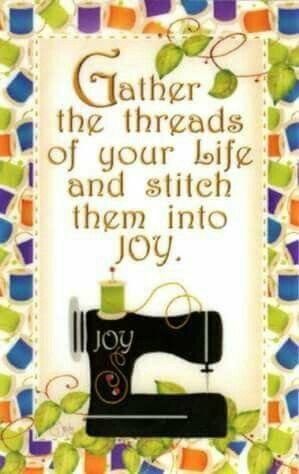 Welcome to Viking Sew & Vac! 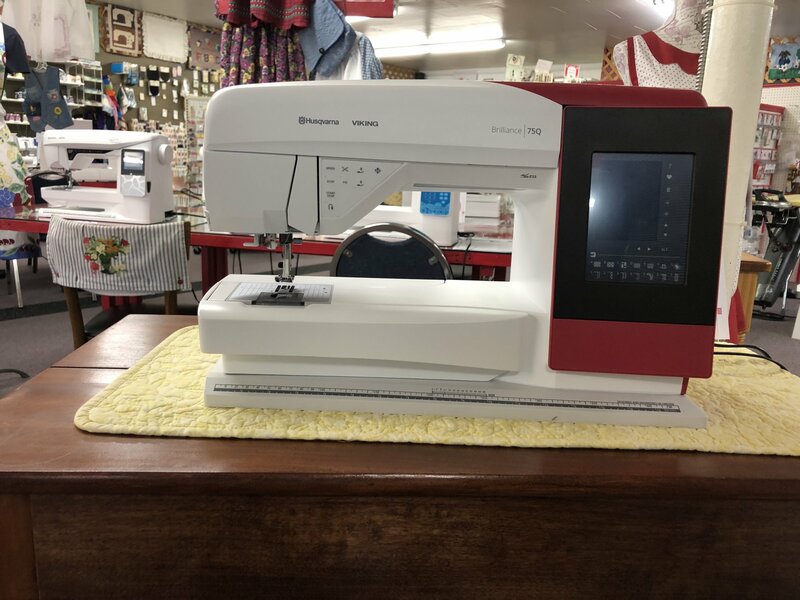 We are Authorized Husqvarna Viking dealers and Janome dealers for the very best in sewing machines, with great machines for beginners all the way up to master quilters and embroiderers. 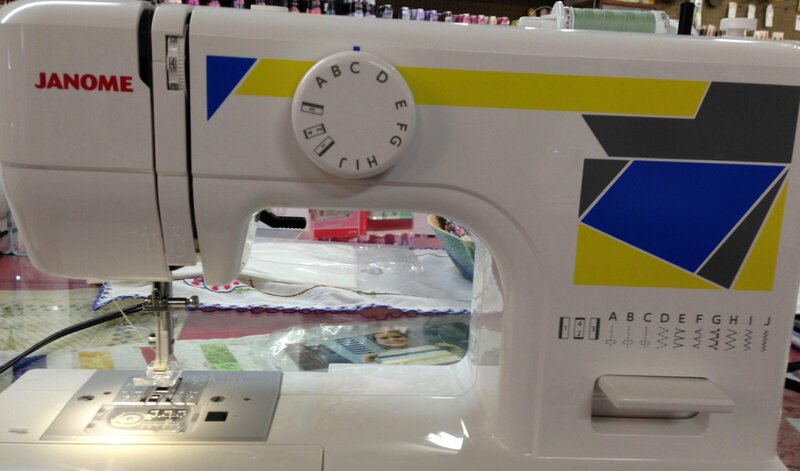 Once we match you up with the best machine for your needs, we offer free classes for each class of machines free of charge and 10% discount on all notions to our buyers. 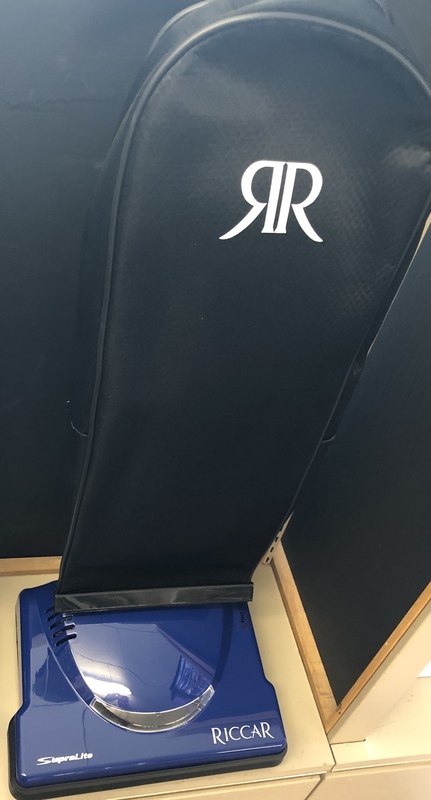 Tired of buying "landfill" vacuums? They last a couple of years then become part of the landfill! We have high quality vacuums that with proper maintenance will last you many, many years. This is our 16 year old Sebo Vacuum. It's been used in the store for 16 years!!! How many vacuums have you bought and had to throw away in 16 years? Time to buy quality! 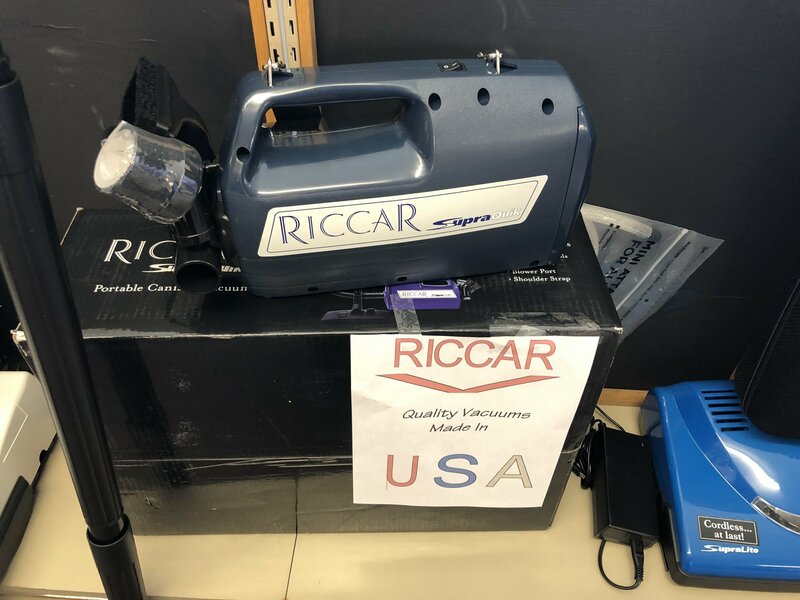 Great value, MADE IN THE USA, fabulous warranties with the service we are known for. We have a couple exciting new additions to show you!! 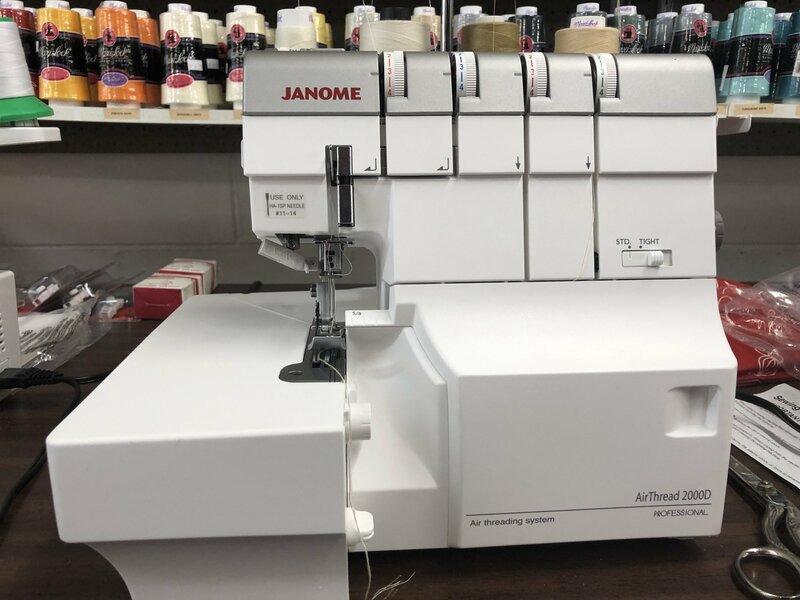 First of all is the Janome Air Thread 200D Serger! 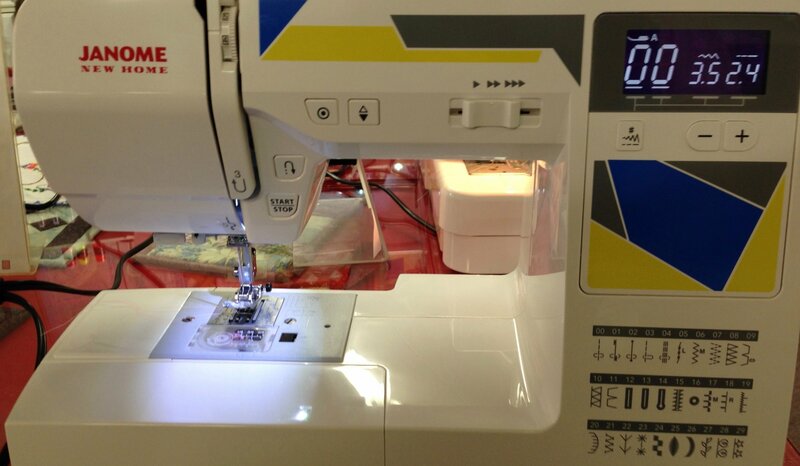 The loopers are self-threading :D That is SUCH a great thing! 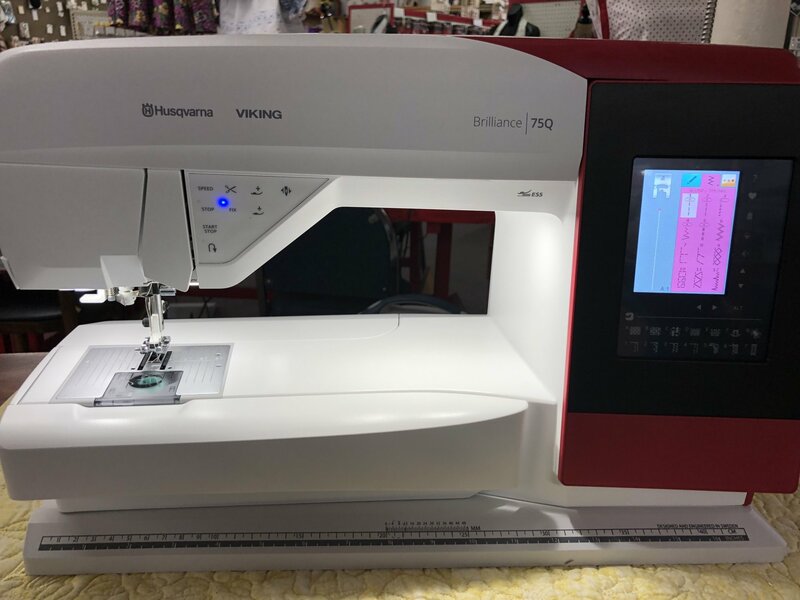 Our next addition is the new Husqvarna Brilliance 75Q! A bit smaller than the Epic and a beautiful machine. 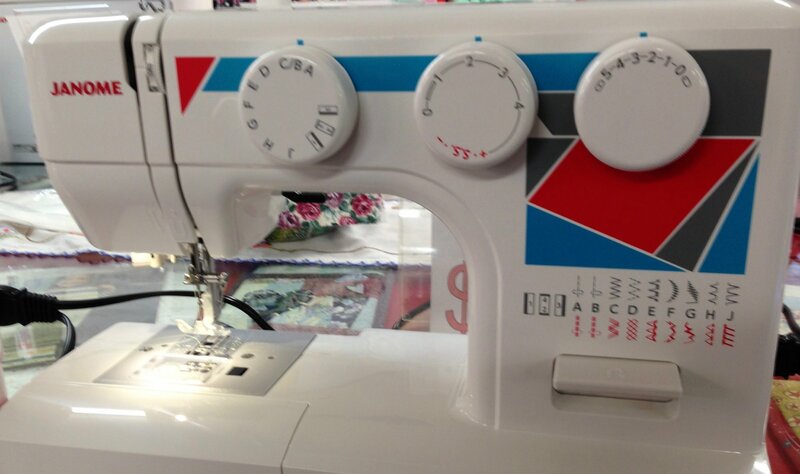 Look at the amazing lighting on the sewing area. 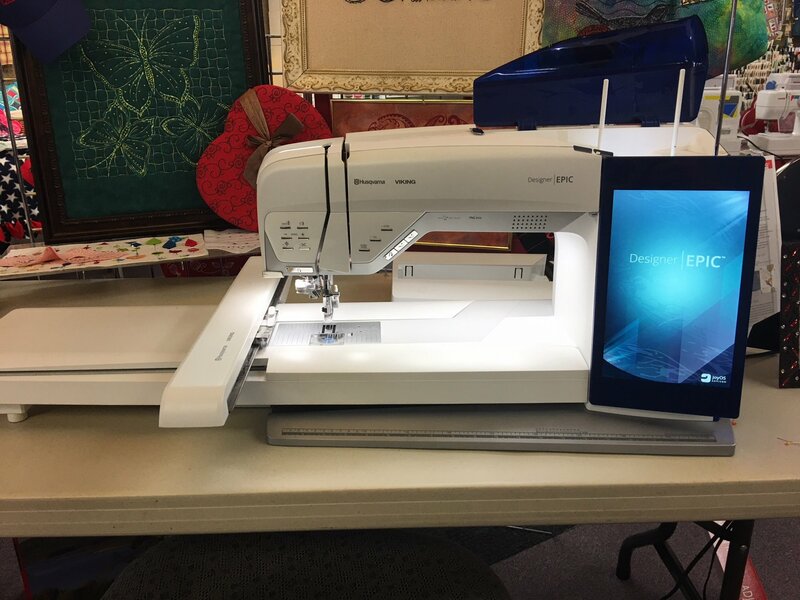 We encourage you to sign up for our monthly newsletter and keep up with classes offered through the newsletter and/or facebook.